Susanna and the Magical Orchestra is one of the names Susanna Wallumrød has released her music under since 2004, here in collaboration with keyboardplayer Morten Qvenild. “When I Am Laid” is a song by the well-known baroque-composer Henry Purcell, arranged by Susanna and the Magical Orchestra and not previously released digitally. The song “When I Am Laid” was included in the beautiful book and CD compilation “Money Will Ruin Everything 2”, released by Rune Grammofon in 2008. Susanna has recorded an album with the swiss baroque-harp player Giovanna Pessi, with songs by Henry Purcell and Leonard Cohen amongst others, for the german label ECM. They were joined by nyckelharpe player Marco Ambrosini and Jane Achtman on viola de gamba, and the album “If Grief Could Wait” is released this fall, 2011. 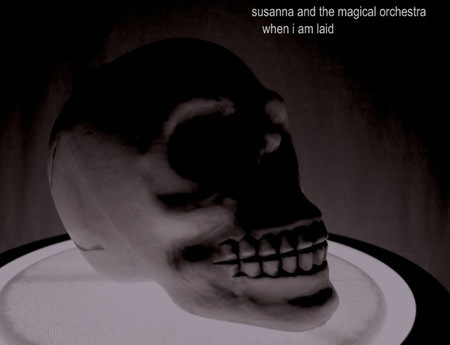 In regarding to this release Susanna would like to present her interpretation of “When I Am Laid”, and is releasing it on her label SusannaSonata.